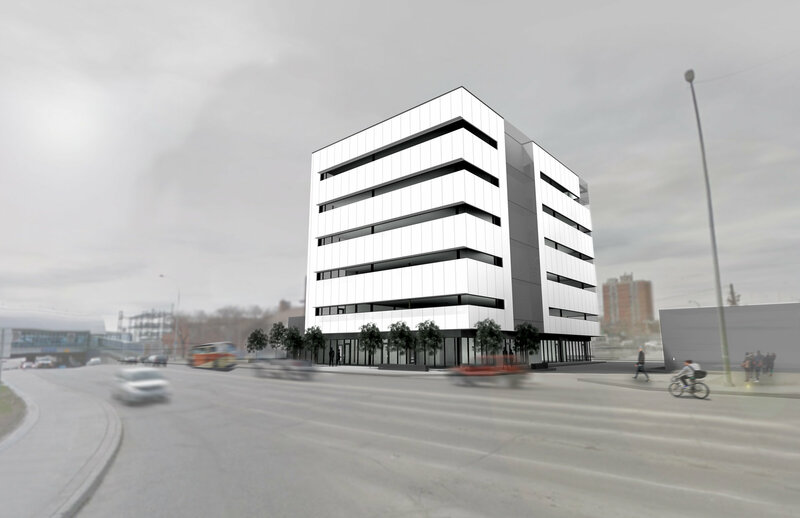 WINNIPEG, MB – Imperial Properties announced today that it has selected Colliers International as its leasing partner for the property manager's new commercial development, Osborne Place at 257 Osborne Street, construction on which is expected to be completed in early 2017. Bob Borys, Associate Vice President of Brokerage Service in Colliers' Winnipeg office, will serve as leasing agent for Osborne Place. Borys is a longtime commercial real estate professional who has been with Colliers since 1997. Imperial Properties chose Borys and Colliers due to his and the firm's reputations in the area. "We're pleased to begin working together with Mr. Borys of Colliers International," said Adrian Schulz, ACCI, President and CEO of Imperial Properties. "He is known as one of the city's most respected commercial leasing professionals, and we're excited for him to bring his expertise to our efforts at Osborne Place." When completed, Osborne Place will house more than 32,000 square feet of office space in a six-storey building, providing commercial tenants with considerable customization opportunities due to its open floor plan. The site will also offer easy access to area dining and shopping options. In addition to the appeal of the building itself, Osborne Place will also benefit from its location at Winnipeg's famed "Confusion Corner," which sees over 90,000 vehicles pass by each day. According to Borys, the physical location of Osborne Place was one of the factors that made working on the development particularly appealing. "I look forward to representing this exciting new address," said Borys. "It's ideally situated at the Osborne Station Rapid Transit corridor, and Pembina/Osborne, the city's highest traffic intersection. The location is truly iconic." The completion of Osborne Place is the result of over two years of planning and coordination with Winnipeg officials, whose goals of reducing traffic congestion, expanding Rapid Transit ridership and encouraging mixed-use development are all well served by the new property. Following the completion of 257 Osborne Place, a 10-storey residential property is slated for construction on an adjacent site. "As we approach the final stages of construction, all of us at Imperial Properties are excited about what Osborne Place will bring to this community," said Schulz. "We're grateful to be joining forces with Mr. Borys and Colliers International as we work together to make this development a success."